With a notion to serve customers with some of the best moving services, CBD Movers has recently come up with a range of interstate moving packages. ADELAIDE, SOUTH AUSTRALIA, AUSTRALIA, September 11, 2018 /EINPresswire.com/ — CBD Movers™ is proud to announce their interstate removal services from Adelaide at competitive costs. 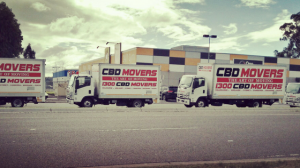 With a notion to serve customers with some of the best moving services, CBD Movers has recently come up with a range of interstate moving packages for those who are moving out of Adelaide. The CBD Movers helps people to start a new chapter in their life peacefully. One need not carry all the headaches associated with the moving process. CBD Movers will take care of all packing and moving so that one can keep alive the excitement of moving to a new place! “We started with a vision to cater to the removal needs of customers – both big and small. Moving challenges help us improve and we have learned a lot from the removalist projects we have handled this date,” says Rick S, Manager of CBD Movers. They guide each of its customers with the process of moving with suggestions to make the move much more comfortable. All the employees at CBD Movers are professionals with a good amount of experience – one can depend on them to get all the goods transported safely. Pre-packing services at CBD Movers help in packing and unpacking of all the goods. CBD Movers will make sure twice and again thrice that all the goods are securely packed and all ready for transportation. The expert team at CBD Movers is well-trained and experienced to handle all the transportation professionally. The movers associated with CBD provide a fleet of vehicles to choose from for all moving needs at affordable rates with each vehicle equipped with the latest GPS and a fully secured container. The customer service at CBD Movers is one of its kind with unparallel services to keep all its customers informed about every stage of the relocation process. The customers can contact the CBD Movers at any time on any day asking for information about their goods. Although moving might seem like a tiring task, the team from CBD will make it more comfortable that in no time all the belongings will be safely shifted to the new home. CBD Movers can transport the belongings to all the major cities in Australia and to Adelaide suburbs too. Among the interstate removalists Adelaide, CBD Movers has marked a name for itself and has always been associated with comfortable and secure removal services in and around Adelaide. CBD Movers is striving hard to accommodate to the needs of more people so that everyone enjoys their relocation services.